I do some theatre work from time to time. I enjoy making props and decorating sets. The week leading up to opening night is called “Tech Week” where you get everything together and make it function – lights, costumes, props, sound, actor cues and so forth. That week is also referred to as “Hell Week” because it’s very stressful. I have friends who are dedicated thespians who work full time day jobs then work until late at night after work to make a lovely piece of theatre for their community. It’s a beautiful thing! Anyway, I’m in my book’s Hell Week. I need to get my edited, proofed, properly formatted manuscript of almost 90k words uploaded to the books sites by this up-coming Saturday. I actually shouldn’t even be taking time to post this blog entry, but I couldn’t help myself. I also wanted to explain, for those of you who like my regular posts of Wonderful Word Wednesday and Sensual Sunday, why those things haven’t been happening. 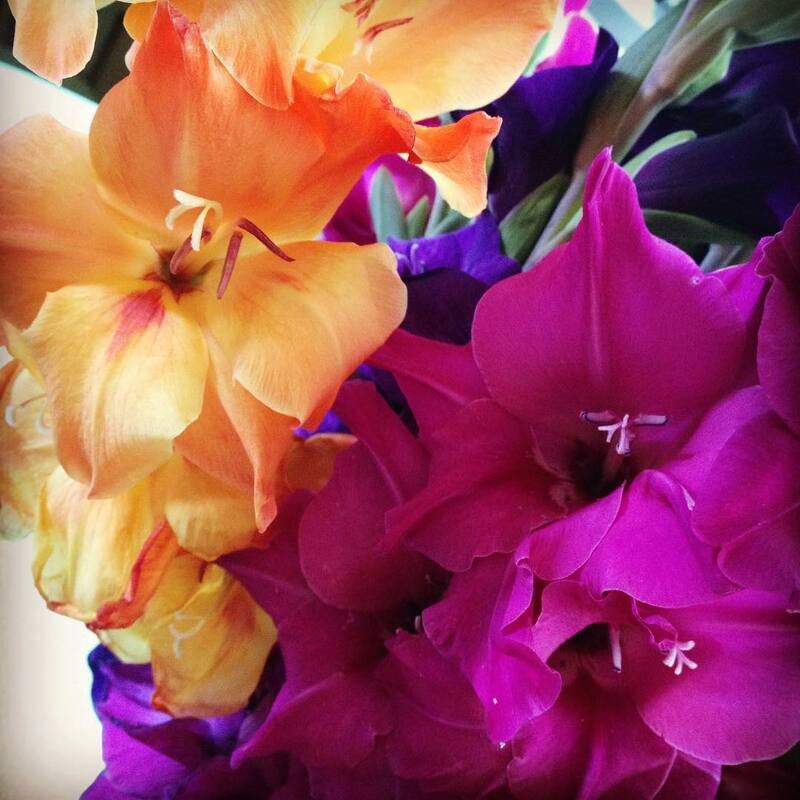 But I do want to share these photos of the flowers we bought at our local farmer’s market yesterday and also say that I am sure to write a Sensual Sunday soon about the farmer’s market. 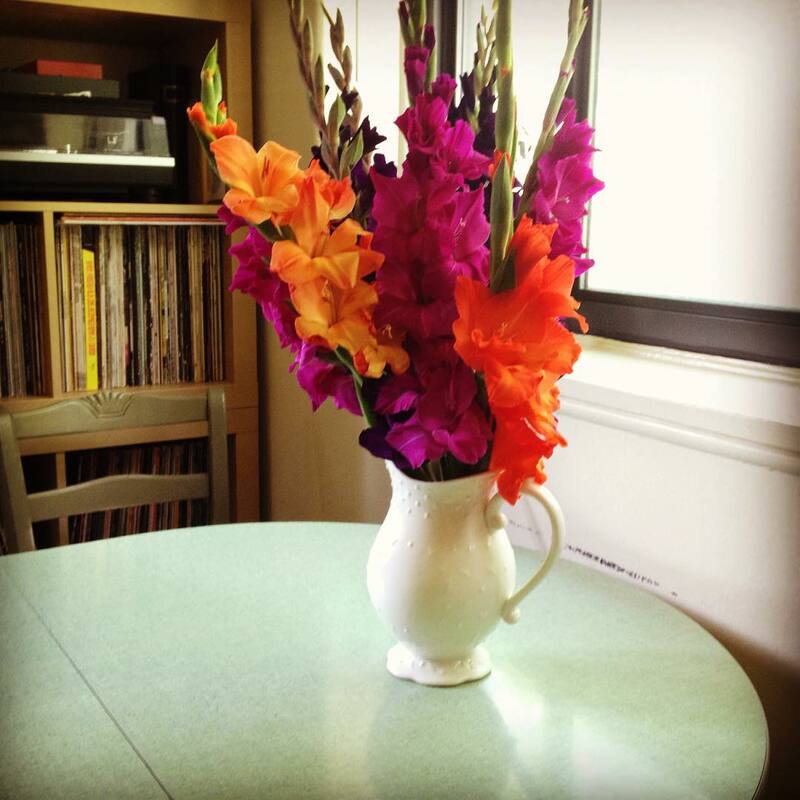 This GORGEOUS bunch of flowers was only $8 from a family farm. Buy local! Support your local farmers! I have to giggle like a third grader at the title of this post. Anyway, I’ve been out of town finishing some fashion and accessories work and shooting photos. That’s something I do when I’m not writing. Which I want to constantly be doing, but it’s not practical. I went down to Virginia Beach for Mother’s Day week and visited my daughter who modeled my creations. She had a friend come over, too, and she did some modeling as well. It was nice to have a visit. I’m happy to be back at my writing desk, but adventures are good. Don’t you think? In any event, it’s put me behind here at home – but only a little. I’m catching up today and I have to say, it’s going a-okay. I’ve had so many ideas flowing through me for additional books in the Red August series that I just can’t wait to get down to it. I have to clear some of this boutique stuff off of my plate first though. But I do want to say that I try to enjoy everything while I’m doing it. I don’t always want to be looking to the next thing as what is going to be the best and most happy thing. I am happy making jewelry and shooting photos. I am extremely happy writing. I hope that the joy that I get from doing these things are imbued on the objects I send out into the world and the projects I sell to support myself. I want them to be as wonderful to receive as they are to create. “Red August” continues to be on schedule for the August launch date. Thanks to everybody who supports my work! Here is a sample from the photo shoot. You can find my designs at GypsySiren.com. 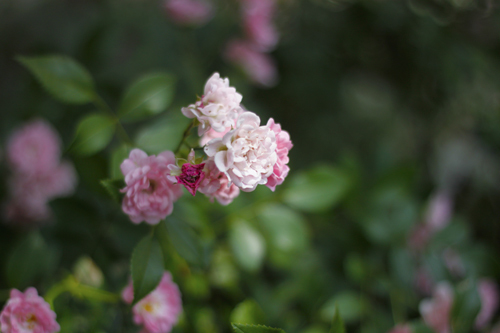 Soft pink petals, parting. You pluck them. Pastel hues, gathered into bunches. An offering that makes me smile. I say a tiny blessing that I trust this gift. Once upon a time I used to get flowers from somebody else. Receiving them never felt as pleasurable as this. More often I felt the thorns in those offerings. As though there was an apology in them, for things I didn’t know were happening. Sad things, behind my back. I blink the unhappy thought away. I smell the bouquet and and sneeze. A tiny squeak that always elicits giggles from anybody nearby. Your face is warm and your energy is open. You wrap your arms around me and I bury my face in, inhaling your smells and feeling the texture of your cotton shirt against my cheek. I grasp a wrinkle of jersey in my free hand and press hard into you. 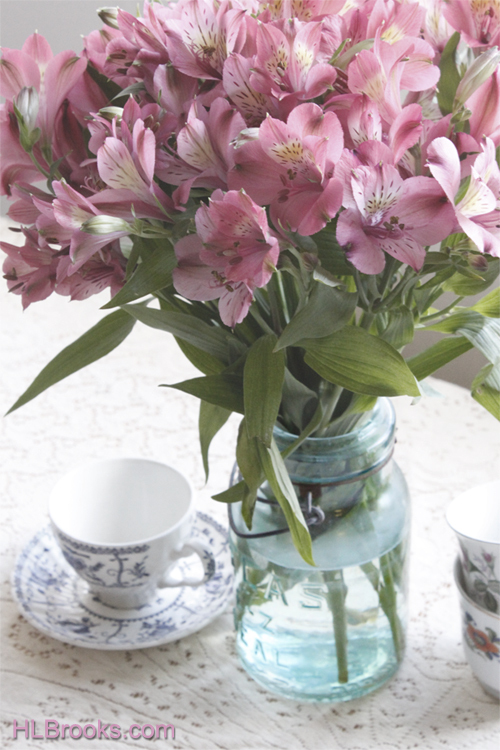 I take them to the sink and fill a faded blue glass antique jar with water. The smell of green as I snip of blades to tidy the ends. Dropping them into the vessel I parade them to the table, sitting them on the lace tablecloth near the tea cups resting in a puddle of sunshine. There is beauty in these small things. These gestures. And the beauty blooms and grows in new ways inside of me now that so much pain is behind me. I am not in a constant state of receiving apologies for things I don’t know that have occurred. It is plain. You offer a gift that you were thinking of me and I accept the gift with trust. We lay down together, spooning in our own ray of sun. Your hand resting in the valley of my hip. Your breath on the back of my neck. “Tell me a story,” I say, only slightly childish. “Once upon a time there was a mermaid…” you begin a tale made from familiar places and happy endings as I drift off to sleep.